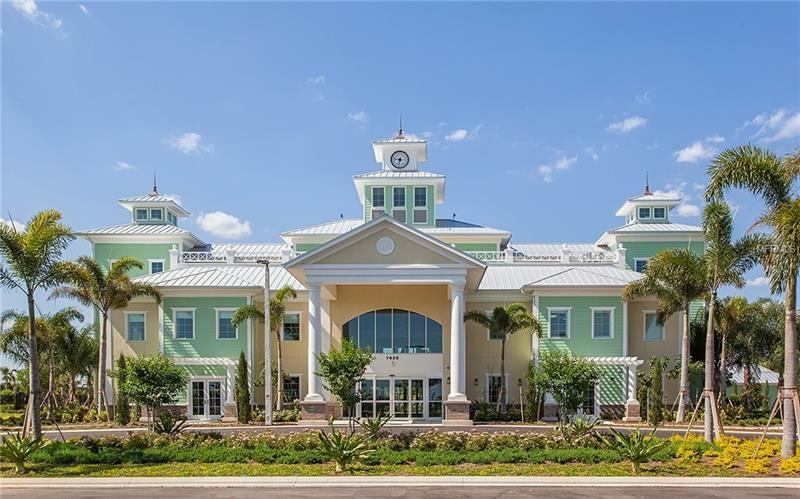 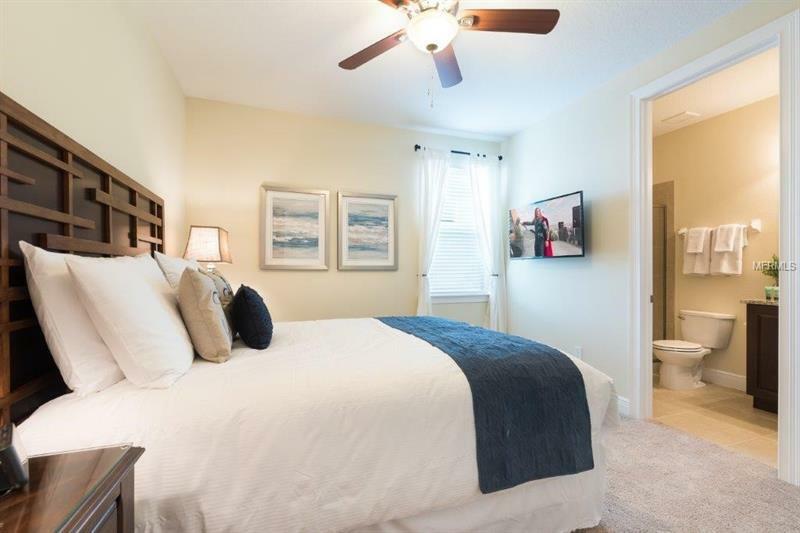 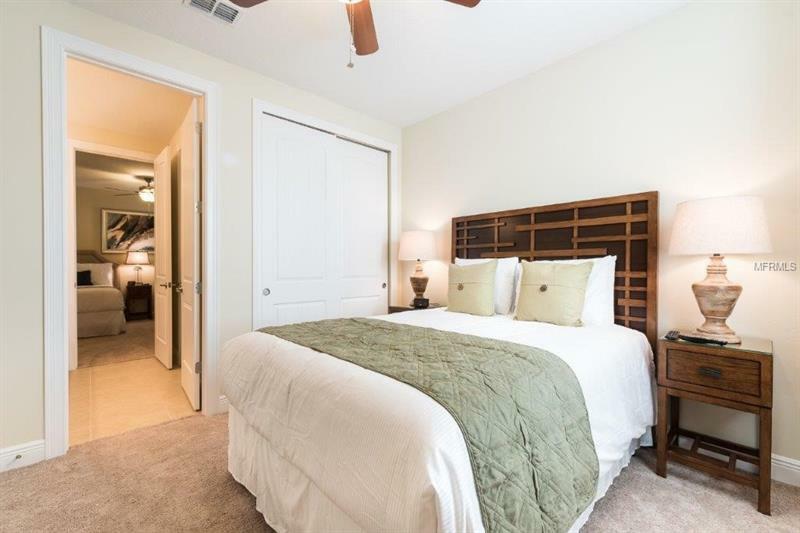 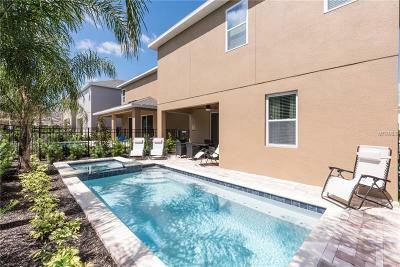 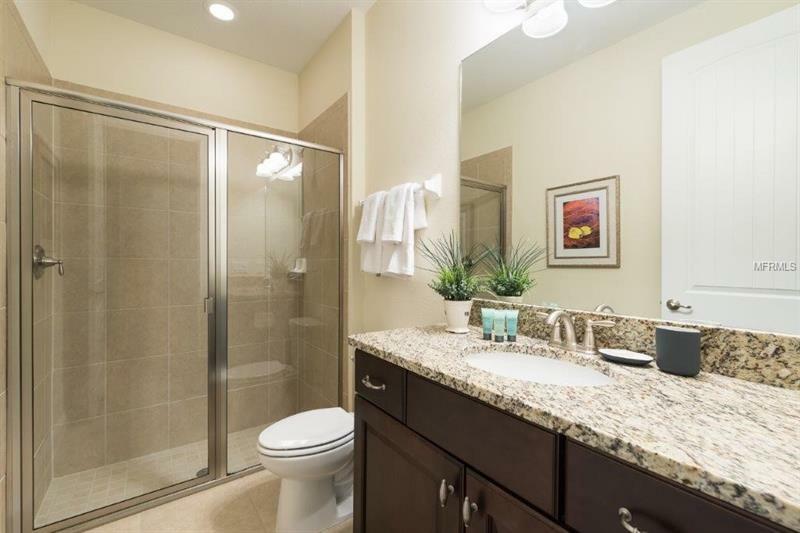 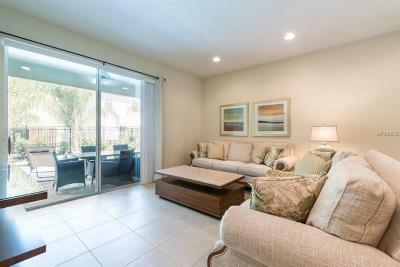 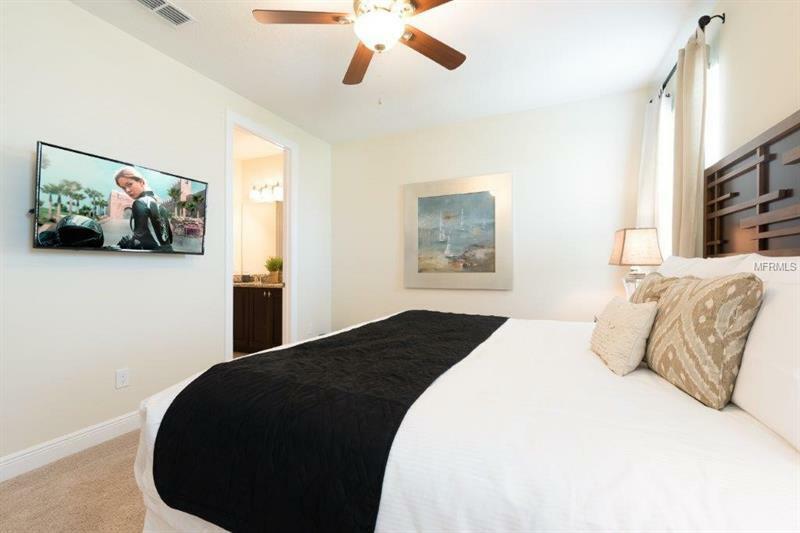 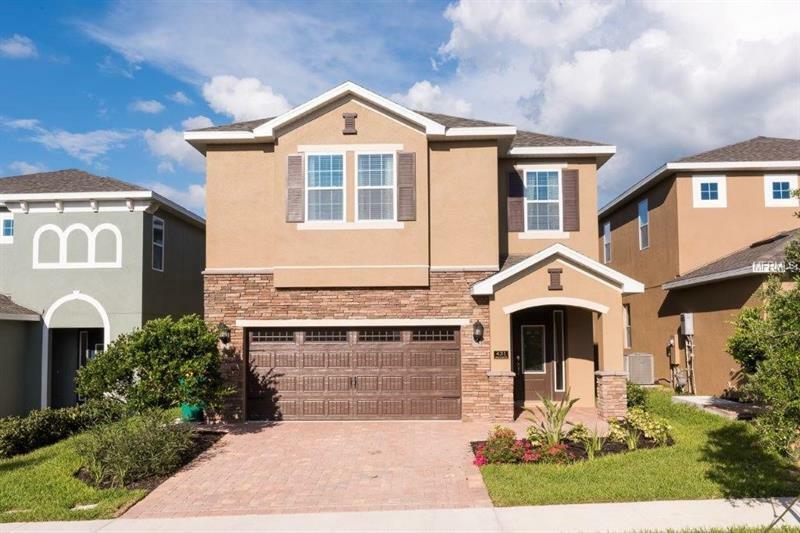 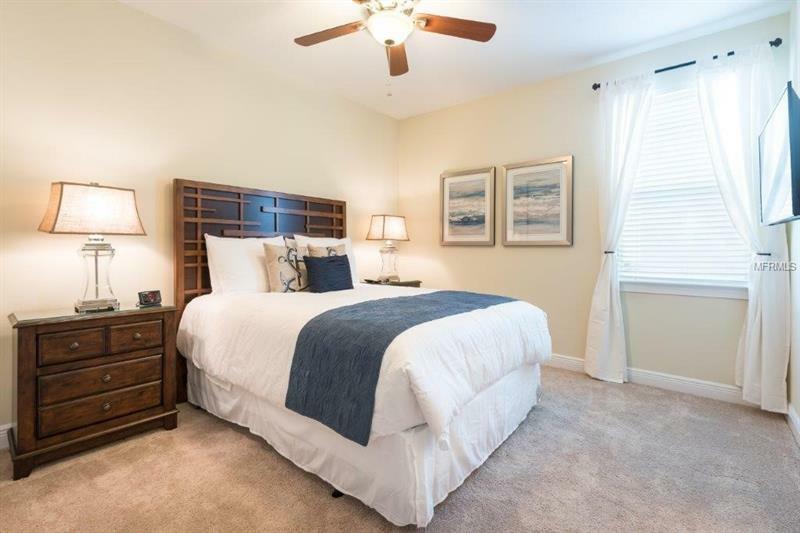 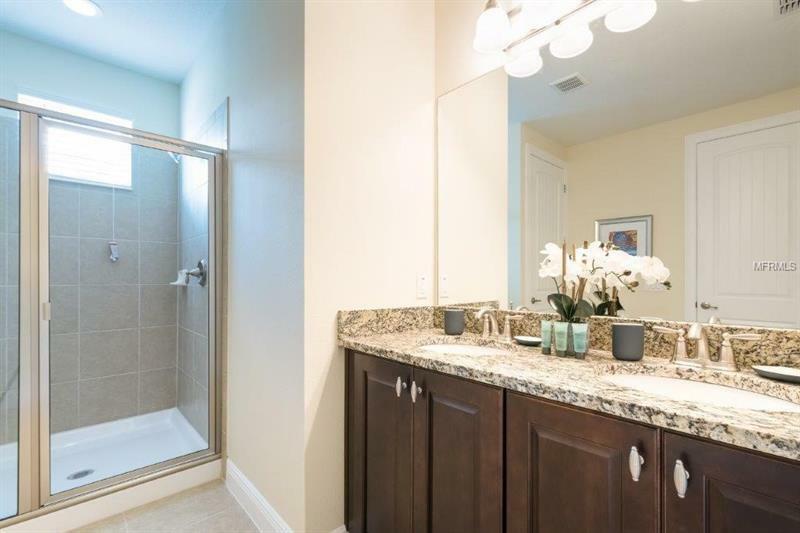 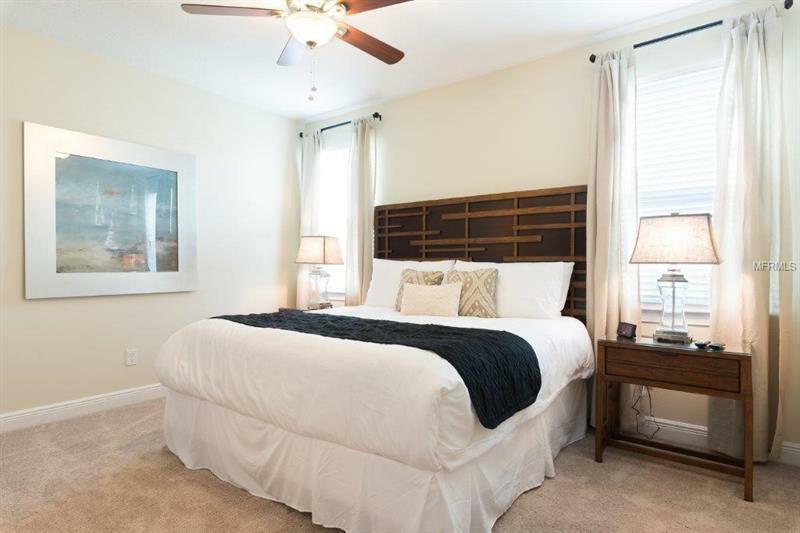 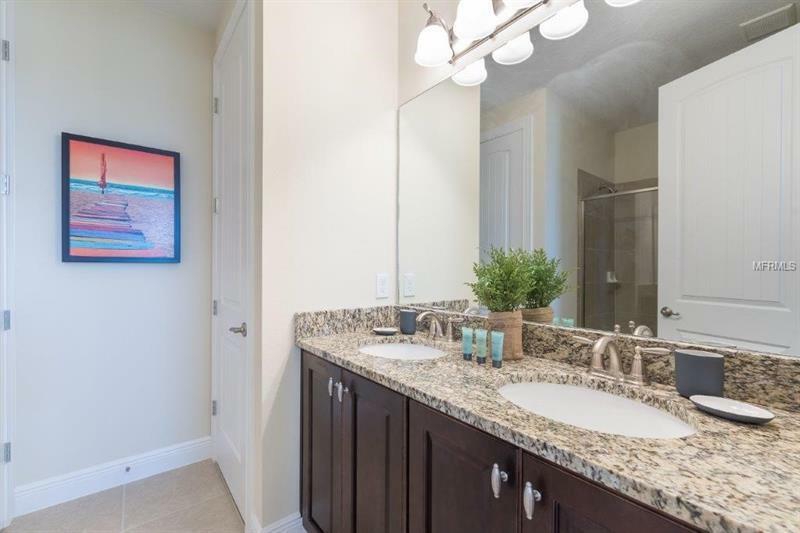 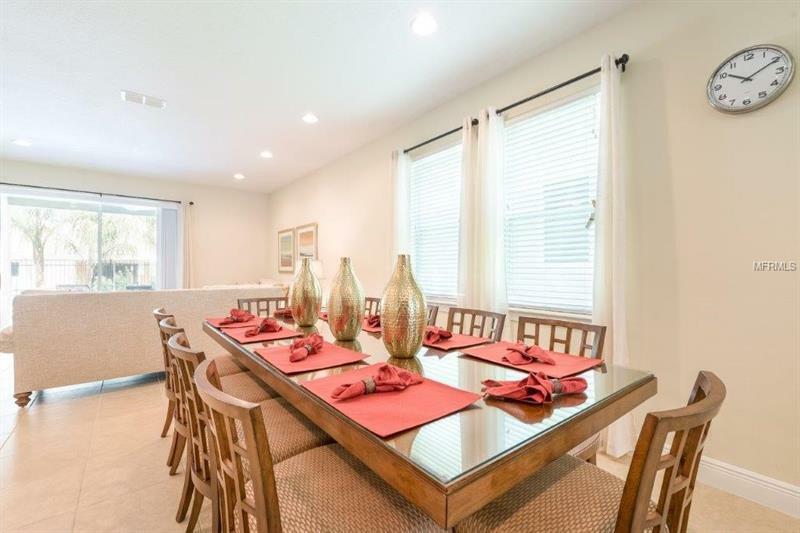 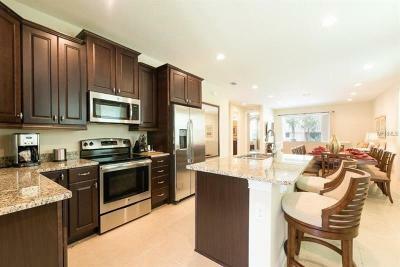 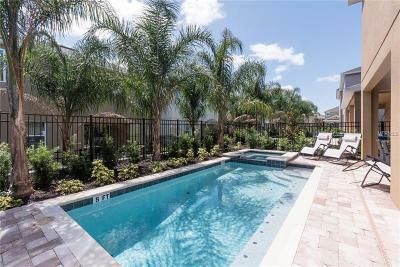 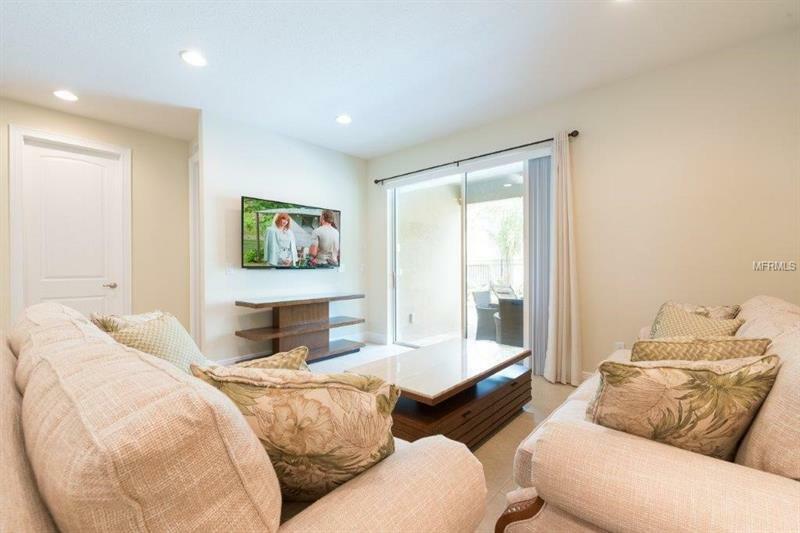 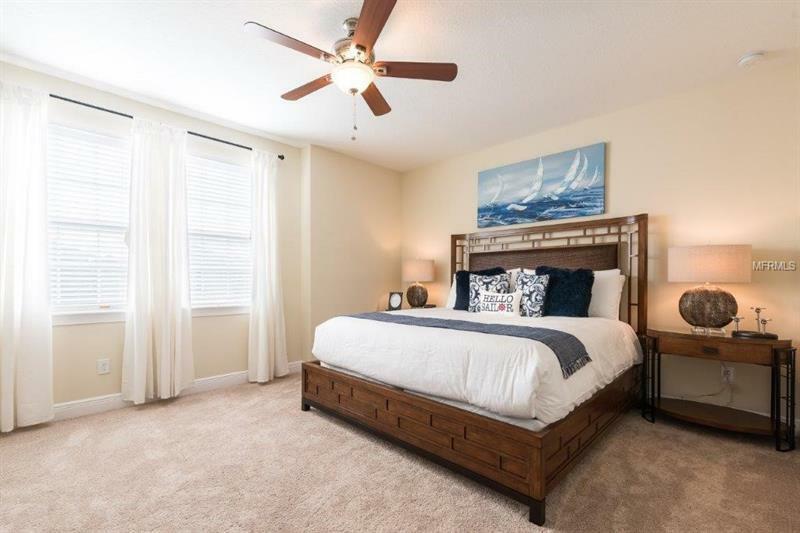 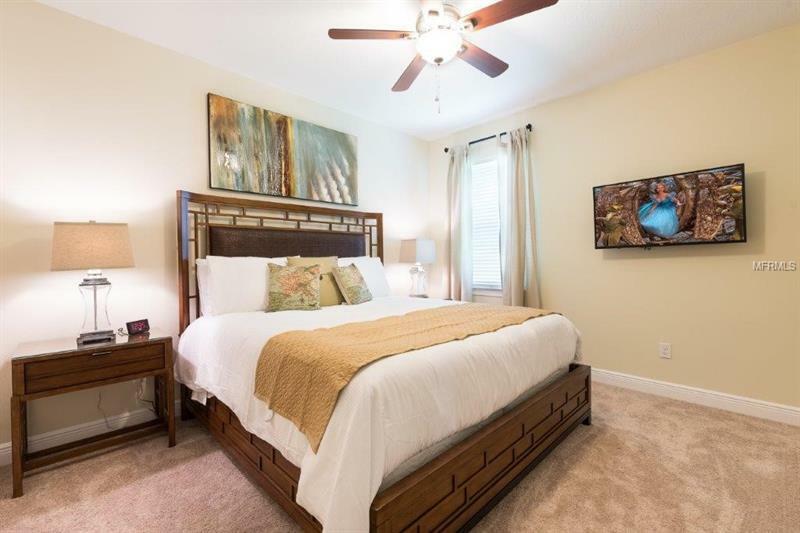 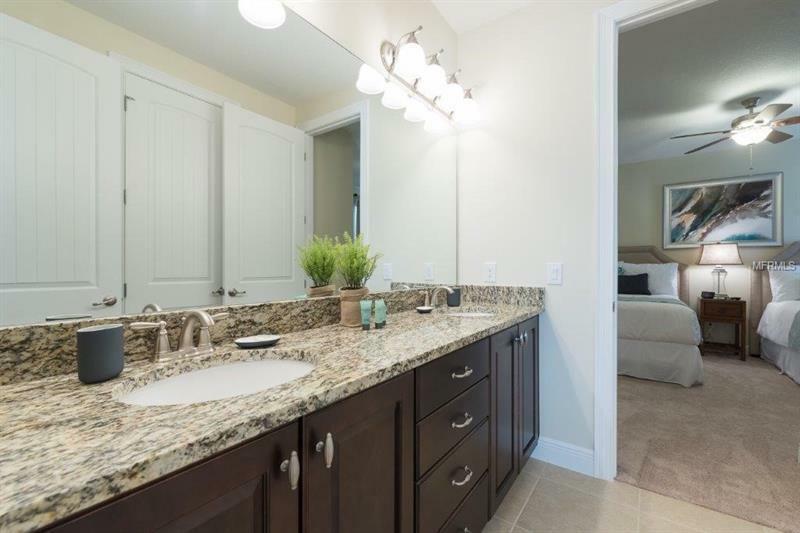 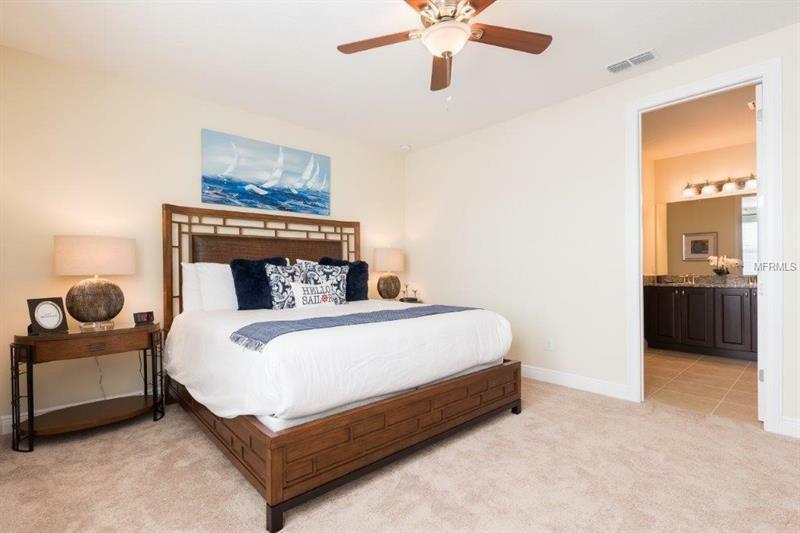 Avoid high Builder closing costs and time wasted waiting for construction completion with this upgraded turn-key home located in the highly sought after Encore Club at Reunion Resort. 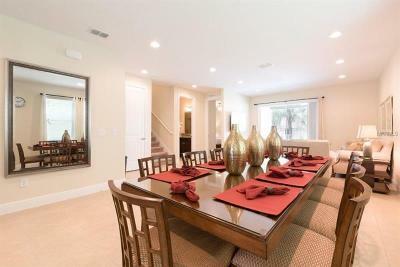 This home offers 8 bedrooms, 5 of which are ensuites, and 7 bathrooms. 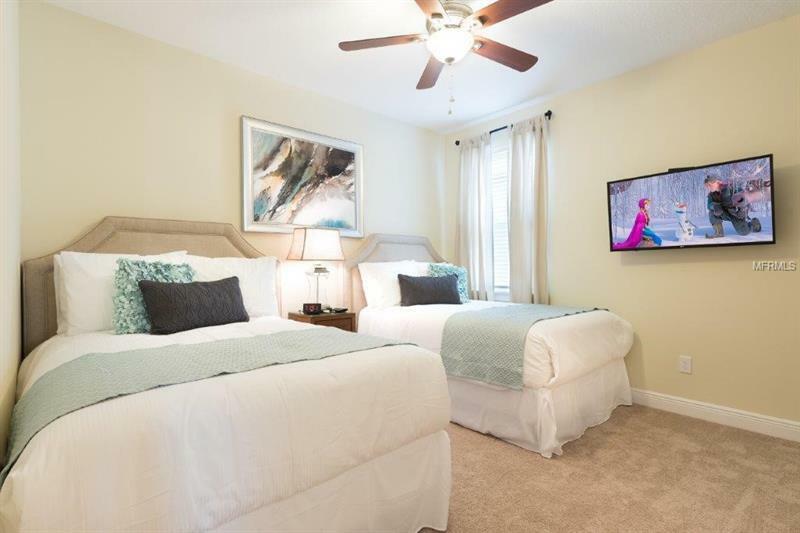 Property features include a 1st floor master bedroom, 2 car garage, media room, granite countertops throughout, energy efficient stainless steel appliances, 9 ft. ceilings, a tankless gas hot water system and screened gas heated pool and spa, washer and dryer located upstairs for convenience, pavered drive-way and pool deckâ¦not to mention this is a smart home with technology systems in place to manage your home security system, a/c system, pool, lights and more. 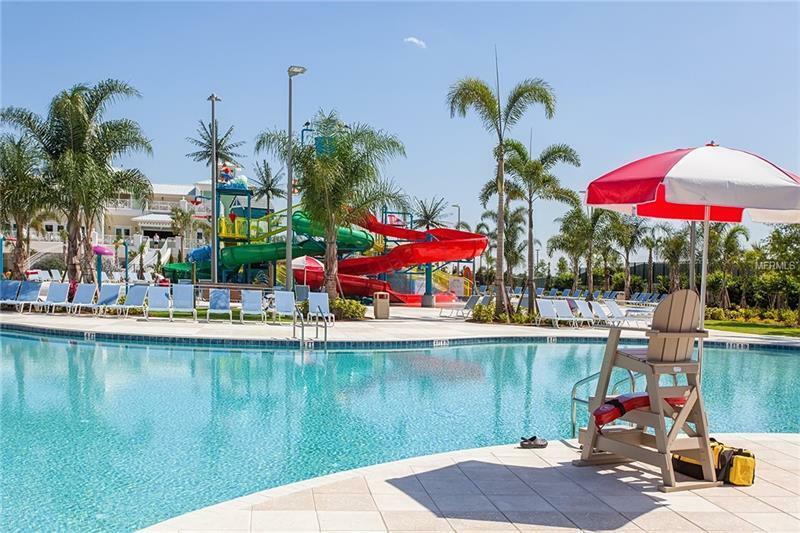 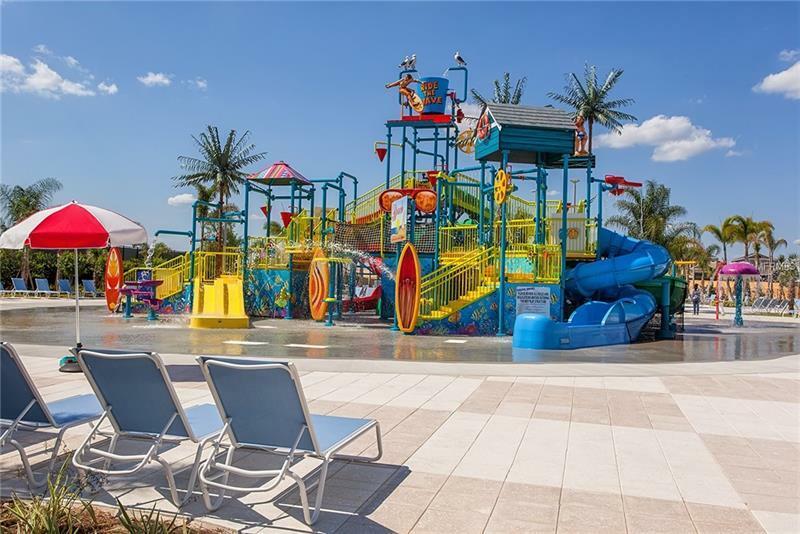 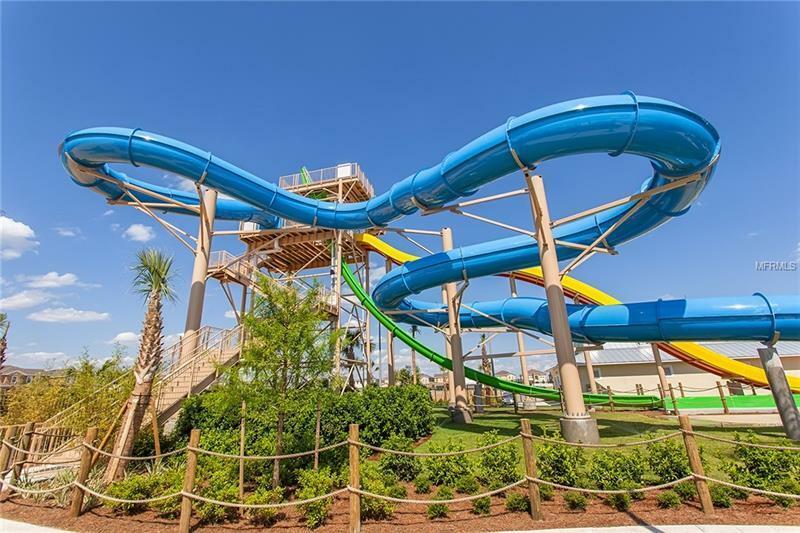 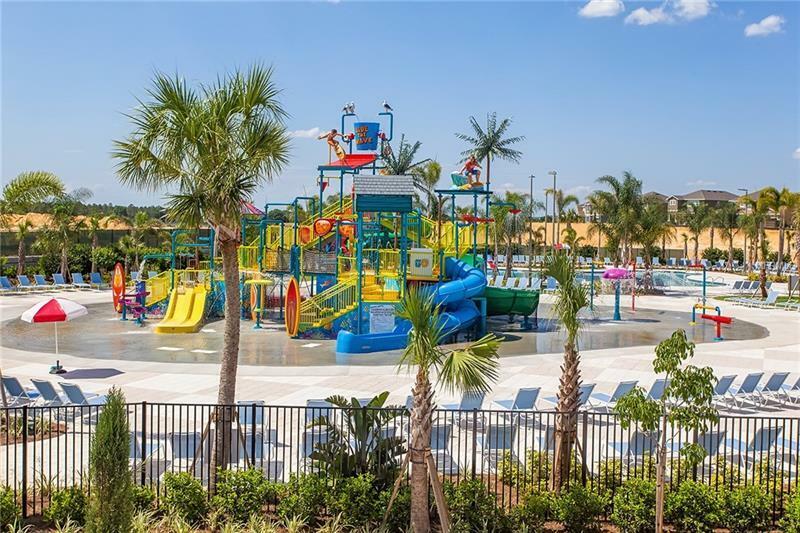 You and your guests will be able to enjoy Encore Club's luxury lifestyle amenities, restaurants, bars, market place, water park which includes tube slides, aqua park, pool, tennis courts, basketball court, beach volleyball, weight room, meeting rooms, 24-hour manned gate, and more. 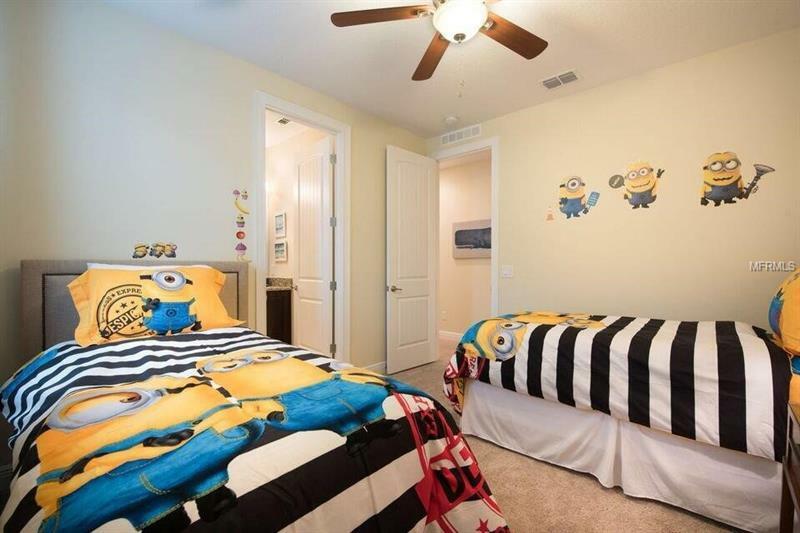 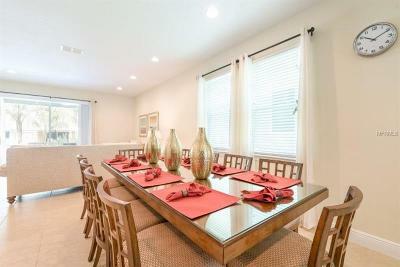 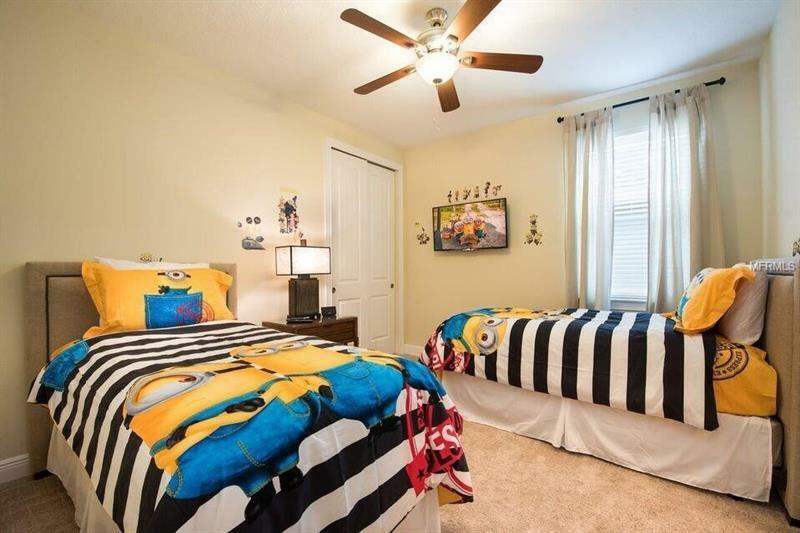 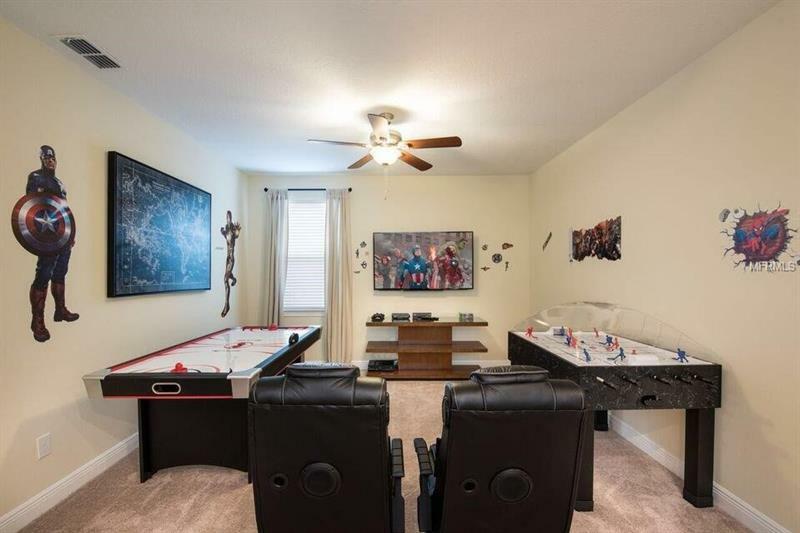 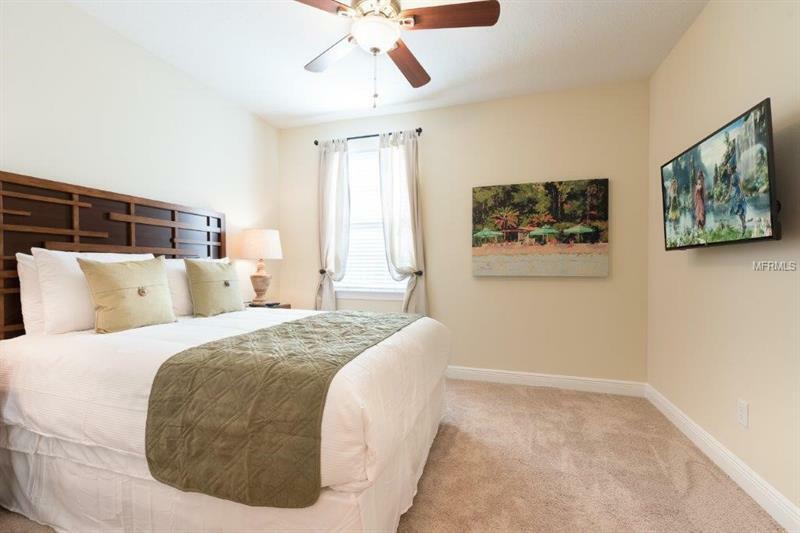 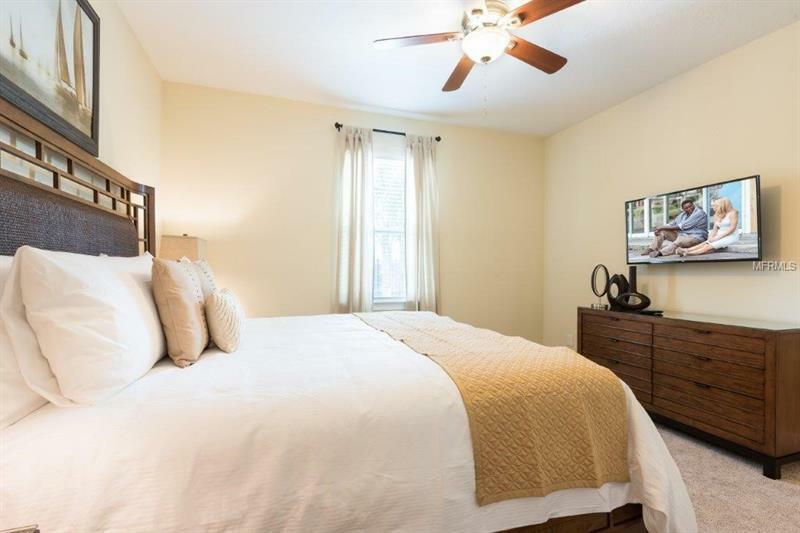 Close proximity to the Attractions. Welcome Home! 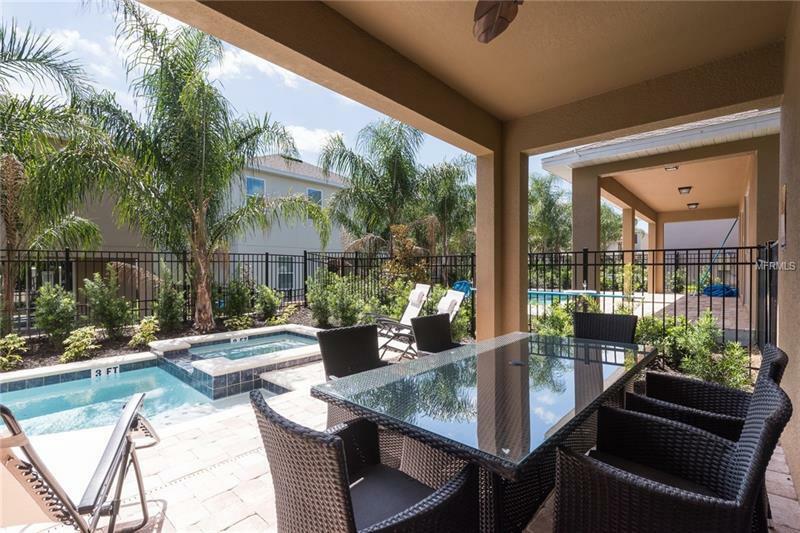 Pet Restrictions: Refer to HOA Documents for restrictions.